It is with a heavy heart that I write this post. MIX Magazine, a food magazine published by the Oregonian, is publishing its final issue this month and they chose one of my images for the cover. MIX was so much fun to work for, not only because the assignments always focused on my favorite subject, food, but also because of the great editorial staff with which I had the pleasure of working. The photo editor I worked with on my projects was the illustrious Mike Davis, now the Alexia Foundation Chair for Documentary Photography at the S.I. Newhouse School of Public Communications at Syracuse University. He gave me complete freedom of approach to every story and also followed up with terrific feedback. The writer I most often worked with was Martha Holmberg, former food editor for The Oregonian, who is now busy writing cookbooks, teaching, giving talks and continuing to pursue all things food. Martha and I worked on several stories together, including one about Nick’s Italian Cafe in McMinnville, as well as another about how to make your own Nocino with green walnuts from the back yard, (and throw a neighborhood party in the process). “Hope springs eternal,” I often hear, so my hope is that I not only get to continue to work with Mike and Martha on other projects in the future, but that another food magazine based in my hometown of Portland, Oregon will spring forth in the near future. 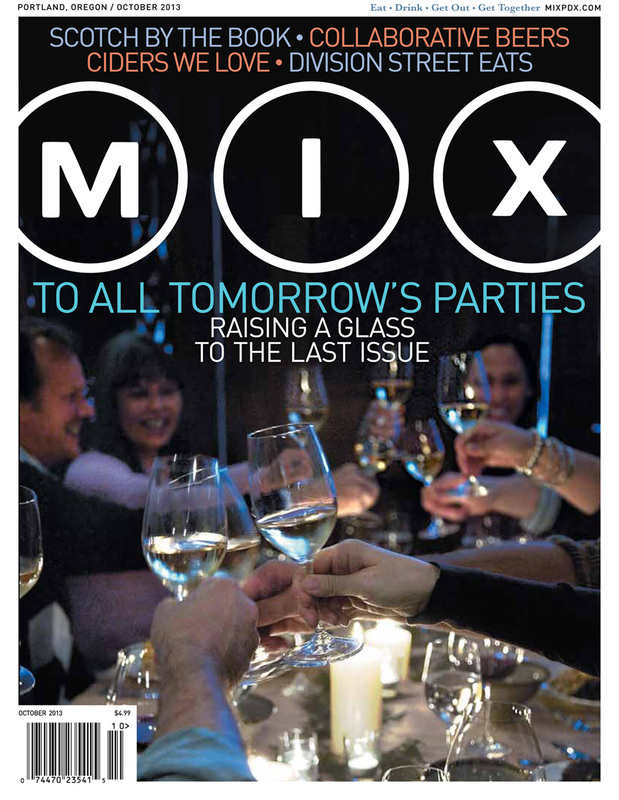 I raise a glass to the fine people at the Oregonian and MIX! May our paths cross again in the very near future. Cheers!! !